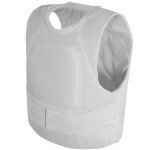 Body armor is a necessary piece of equipment for law enforcement agents, security agents, bodyguards, and unfortunately has become common place for even EMS and Fire personnel. When working in or commuting through higher risk areas, even the every day citizen can have a need for an extra level of protection. Ballistic resistant armor comes in many shapes and sizes as well as styles and levels of protection. There is also a difference in how stab and spike resistant and bulletproof armor works. Just because a certain product is rated for one, doesn’t mean it’s rated for the others. Most bullet resistant vests offer protection against low risk threats but additional protection is necessary against higher calibers. Level III-A Body Armor, for example, increases your protection level dramatically. It protects from a .357 Magnum and a .44 Magnum, as well as most handgun rounds, making the preferred choice for law enforcement agents, security operatives and civilians living in high crime areas. Classified as soft armor, it can be fitted with hard plates, converting it into hard body armor and increasing the protection level, if necessary. Body armor is designed to defeat certain rounds, but it will not protect against all threats you are likely to encounter. Also, if you wear your shell carrier without the ballistic panels it does not provide any protection. Level I: Not recommended and not in use anymore, the lowest level protects only against fragmentation and very low velocity pistol ammunition, such as a. 38 Special and .22 calibers. Level IIA: Suitable against most of the threats encountered on the street by law enforcement officials, like against 9mm, 40 SW and 45 ACP. One drawback is that it does not protect against blunt trauma injuries. The popular 9mm round can be stopped by a Level IIa Kevlar vest. However, many consider this level to be the bare minimum armor protection. Level II: Considered by some to be the best balanced option between blunt trauma protection, cost, and thickness / comfort / concealability. It performs well against 9mm and .357 Magnum calibers at higher velocity. Level IIIA: Well suited for high-risk situations as it covers more of the uncommon or unusual threats, such as 9mm and 44 Magnum calibers at sub-gun velocity as well as all lower level threats. Level IIIA armor should stop most shotgun rounds, including most slugs and buckshot. Level III: With more comprehensive safety coverage, Level III extends to cover even 7.62mm NATO rounds, which makes it suitable for military personnel and security operatives in high-risk areas. Level III doesn’t not cover all rifle rounds, especially higher velocity rifle rounds. There is currently a large variety of covert and overt bulletproof vests that have pockets, where extra SAPI plates can be inserted to increase the security level. Both carry their advantages in different situations. For example, covert vests work better in urban environments, where you don’t want to draw attention to the fact that you are wearing body armor while overt vests are easy and quick to put on in the event of an attack. Soft body armor doesn’t always cover slash and puncture threats and if you are looking for protection from edged weapons be sure that you select armor for that purpose. Many soft armor manufactures offer upgrades to their ballistic armor to also protect against those threats, just make sure to select those upgrades if you need them. With proper research and assessment of the environment you will find yourself in, you can take the necessary precautions to ensure your safety in the event of any situation that arises.